Saluki volleyball saw its undefeated season come to an end Saturday night. SIU’s first loss of the season came from Northern Arizona by a score of 3-1. The first set of the match started off slow for the Salukis as they found themselves down by as much as 12-17, but used an 8-1 run to tie the game at 18-18 and would eventually win by 28-26. Junior outside hitter Andrea Estrada had four kills and four digs while fellow junior outside hitter Nellie Fredriksson had five kills in the set. SIU held a slight edge in hitting percentage 29.3 to 28.6 in the first set. The second set was more closely contested with points being exchanged to a 22-22 tie before a 3-1 run by Northern Arizona secured them the set by a score of 25-23. SIU had just a 25.6 attack percentage the second set compared to Northern Arizona’s 33.3 percent. The Lumberjacks were paced by senior outside hitter Lauren Jacobsen, who had 29 kills. SIU and Northern Arizona once again battled in the third set, but the Salukis dropped it 25-23. Northern Arizona held the advantage in blocks (9-6) and hitting percentage (25.8 to 21.3). The fourth set was all Lumberjacks early as they jumped to a 12-6 lead and the Salukis couldn’t recover. 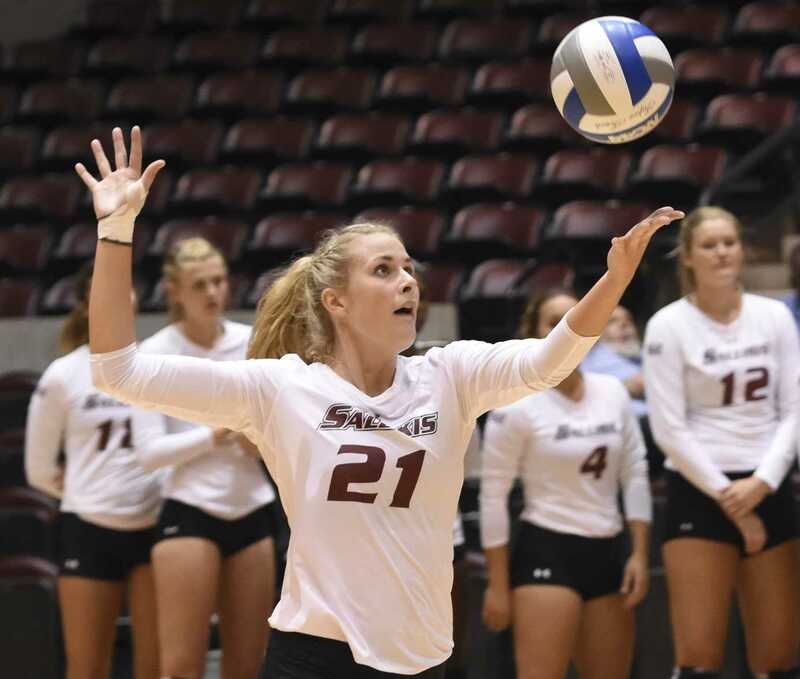 SIU volleyball ultimately dropped the set 25-18 to lose its first match of the year. The Dawgs play Murray State at 7 p.m. Tuesday at Davies Gym.